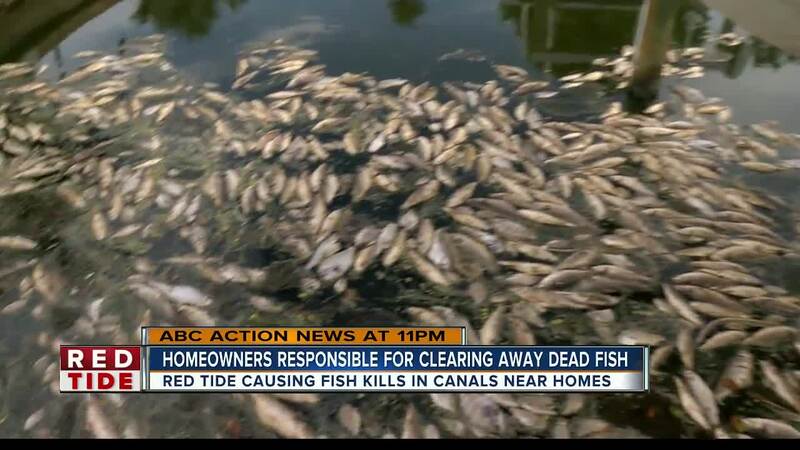 BRADENTON, Fla. — Manatee County homeowners say fish killed by red tide are clogging the canal behind their homes. 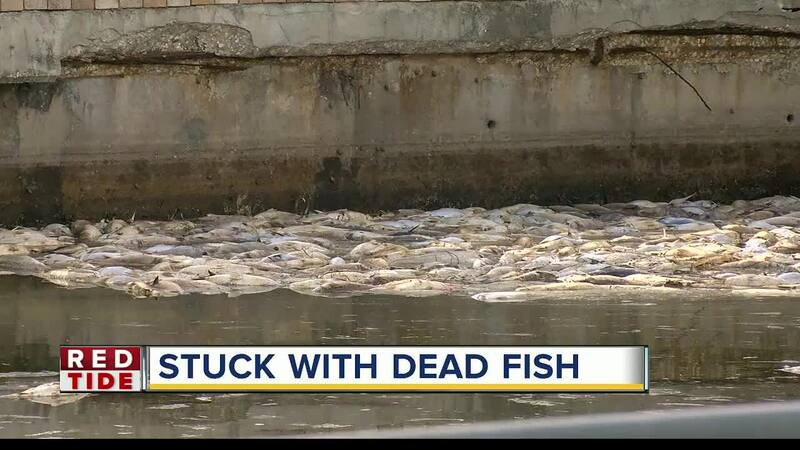 Clusters of dead fish are sitting in the canal behind Beth Beck's home. "Three days ago, I came out and I said oh my word and this is what I saw. It looks like you could walk across it," said Beth Beck. Homeowners living in Coral Shores in Bradenton say they're stuck dealing with the smell of decomposing dead fish. Red tide continues to sweep across Southwest Florida's coast. There have been fish kills in Lee, Sarasota and Manatee Counties. "It's not like you could walk over to the fish and put them in a trash bag. You can't do that," said Beck. Manatee County officials said county crews do not have permission to go on private property and clean up the canals. County leaders want to connect homeowners with local fishermen. Fishermen interested in helping homeowners may contact the county's Citizen Action Center at 941-742-5800. Starting on Wednesday, county officials will also place dumpsters on Anna Maria Island at Bayfront Park where homeowners can toss dead fish. "This is the worst I've ever seen. I've been here for 34 years," said Luke Hurban, a local fisherman. Hurban said he's willing to work with the county to collect the dead fish. "We can't go fish. We can't. All this is dead. The county is helping us by paying us," said Hurban.